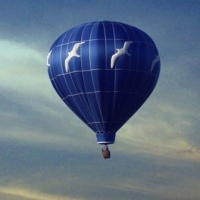 Blue Sky Balloons operates FAA certified balloons by FAA certified pilots and has been providing hot air balloon rides in the Hudson Valley, NY for over 40 years with a perfect safety record. We fly from the heart of the Hudson valley and are near New York City, Connecticut, Pennsylvania, and New Jersey. We offer gift certificates, private rides, and accommodate group bookings. More than half our flights are gifts or celebrations such as anniversaries, birthdays, or other special occasions such as engagement flights. A great family outdoor adventure. Try man's oldest form of aviation. Flights are scheduled in the mornings just after sunrise and in the evenings just prior to sunset, We are located only a short drive from NYC and if necessary we can meet you at the metro-north train station. Scheduling is done on a first come, first served basis and so we suggest you schedule early, especially if you have a very specific date in mind. October is our busiest month and early scheduling is definitely necessary then. 2. Fill out and send this form. 3. We will email or telephone you to confirm. 4. Approximately 10 hours before your flight we'll call you to confirm that the weather is suitable. For more information or to schedule a hot air balloon ride, please contact Bill Hughes using the information listed below.